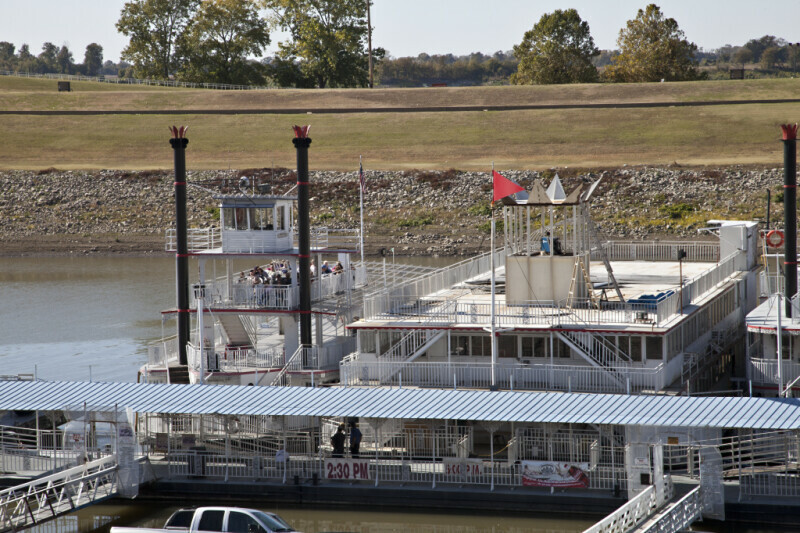 The riverboat Island Queen is shown, to the left, along side the party boat Memphis Showboat. Both vessels have three decks for passengers. The riverboat has a fourth level, for the pilothouse. There are tall, thin smokestacks on the riverboat.